Being pregnant, while magical and special, doesn’t always have you feeling your best. So I’ve put together the top ten items that have helped me stay sophisticated, stylish, and satisfied (hint: bagels + frozen treats!) through it all – even swollen ankles! Enza Costa Ribbed Tank Dress: This dress is a lifesaver! When nothing fits and everything seems to cut you in all the wrong places, this dress hugs your bump perfectly and grows as you grow. Pair with a blazer for work or a fun scarf for a night out… Definitely worth the investment! Prada Handbag: What more can I say about a classic handbag? When you don’t feel good about anything in your closet, feel good and know that a handbag always fits… right, ladies? 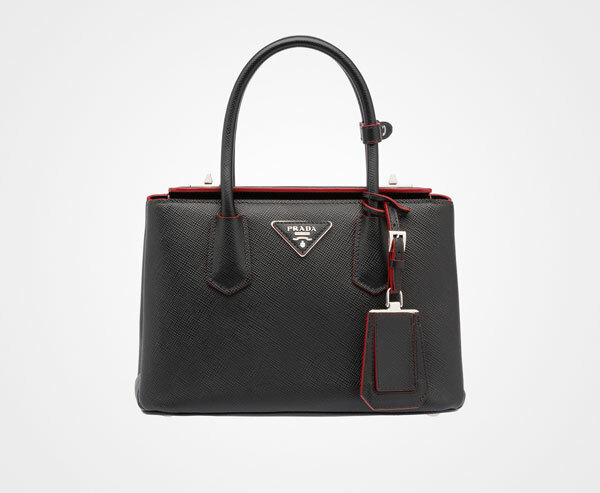 Plus, this Prada bag is roomy enough for snacks, water and more while adding that extra polish to your style. Yves Saint Laurent Glossy Stain: The theme here is all about distracting from the areas you’re not feeling too comfortable with. A bold lip makes a great statement and instantly draws attention away from swollen ankles and puffy joints. 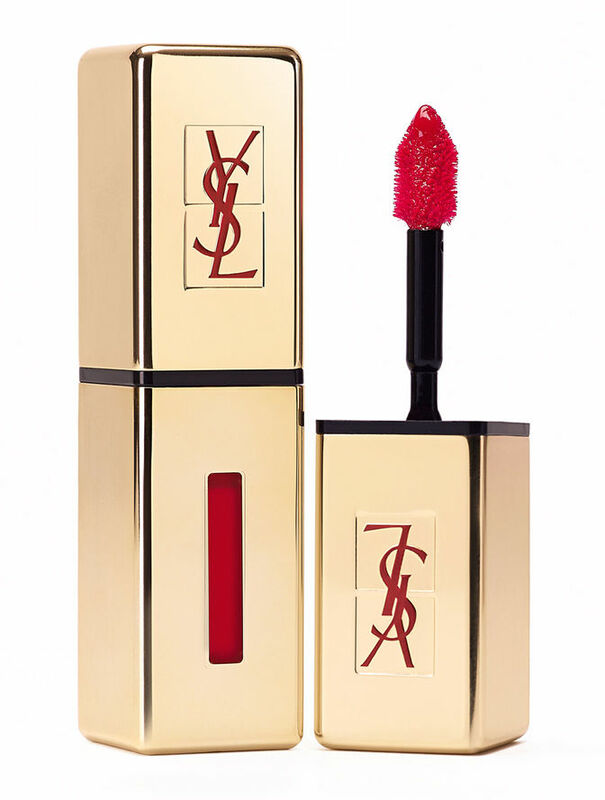 This YSL is one of my favorites and lasts forever! Nourish Green Juices: I’m incredibly conscious of everything I consume (I am always thinking about what’s best for baby!). These juices from Nourish start my days off on the right foot and help keep me strong throughout my non-stop schedule. 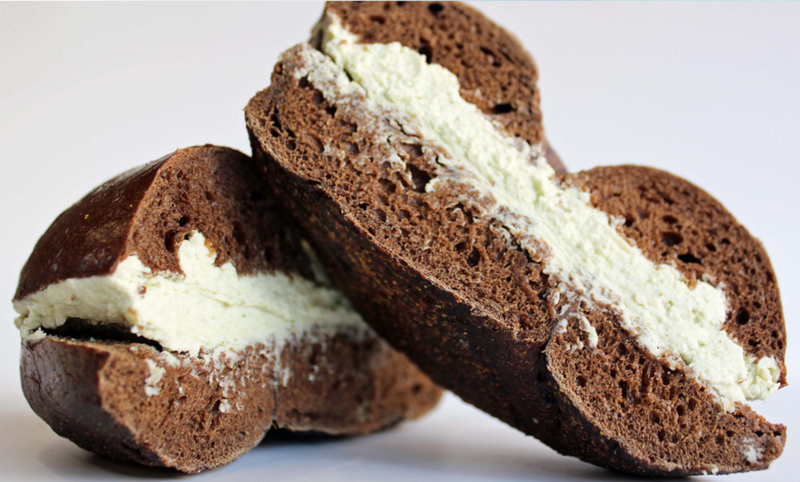 Brooklyn Bagel & Coffee Company: One of my biggest cravings this time around is bagels and cream cheese. I cannot seem to get enough! Conveniently located a few blocks from my office, Brooklyn Bagel is the perfect snack to indulge in (tip: try the garlic and herb cream cheese!). Nature’s Way Coconut Oil: Avoiding stretch marks means constant upkeep and hydration. Coconut oil is a natural, safe way to hydrate and protect your skin during all of the not-so-fun changes that happen during pregnancy. The sweet, island-like smell is a plus and will have you feeling like you’re on the beach in Jamaica (if only!). Kristin Hayes Jewelry: Jewelry is a mama’s best friend. Just like a handbag, jewelry always fits (except maybe for the rings, but that’s another story). Glam up any look with gold galore – more is more! Kick up the style on a simple maternity dress with your favorite gems. Mine happen to be by Kristin Hayes. Her unique pieces are eye-catching and statement-making. Chloe’s Fruit Pops: I have never had a sweet tooth, but my baby girl seems to! This summer I kept cool and satisfied with Chloe’s fruit pops. Filled with simple ingredients, these were the best treats during the dog days of summer. Bourbon and Boweties Bangles: Take it form me, invest in some great jewelry the second you find out you’re pregnant! Don’t walk, run (while you can) and stock up on necklaces, earrings and these super cool Bourbon and Boweties bangles. They come in a rainbow of colors and stones so there’s at least one for every look! 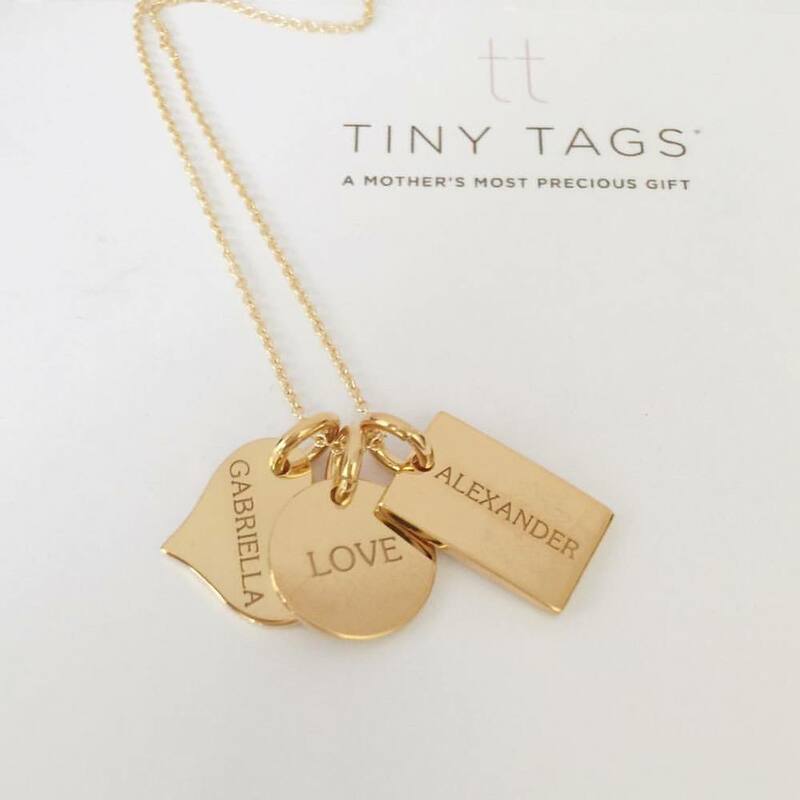 Tiny Tags Monogram Necklace: This necklace never comes off. It’s always close to my heart (literally!) as it bears my husband’s initial and son’s name. I can’t wait to add my baby girl’s to this and complete our family.